In 2005 a school was housed in two small rooms at the home of the Association’s founder. There were six children, most with multiple disabilities and some orphaned. Since then, the Parents’ Association has undertaken numerous programmes to ensure the development of the school, and for the last four years, the school has provided an exemplary model educational program. The school also provides a site for social workers’ training and practical experience, especially for students from Canadian and Ugandan universities. These social workers, and some volunteering parents, have continued to carry out sensitisation campaigns to fight stigma and discrimination of disabled children in the surrounding communities. In an effort to expand the school to accommodate increasing needs, the Kakunyu Parent Support Association received support from Canadian well-wishers (who were students volunteering at the school). Other contributions were collected from local members themselves and two acres of land were bought in October 2008.
to facilitate the construction of a specialised school for nursery children and children with special educational needs. The funds were from a well-wisher from the United Kingdom who had visited the school through an international non-governmental organisation (Send a Cow). During her visit to Uganda in September 2009 to check on the progress of the school project, the current chairman of Friends of Kakunyu School (FroKS), was amazed at the work the school’s management had achieved. 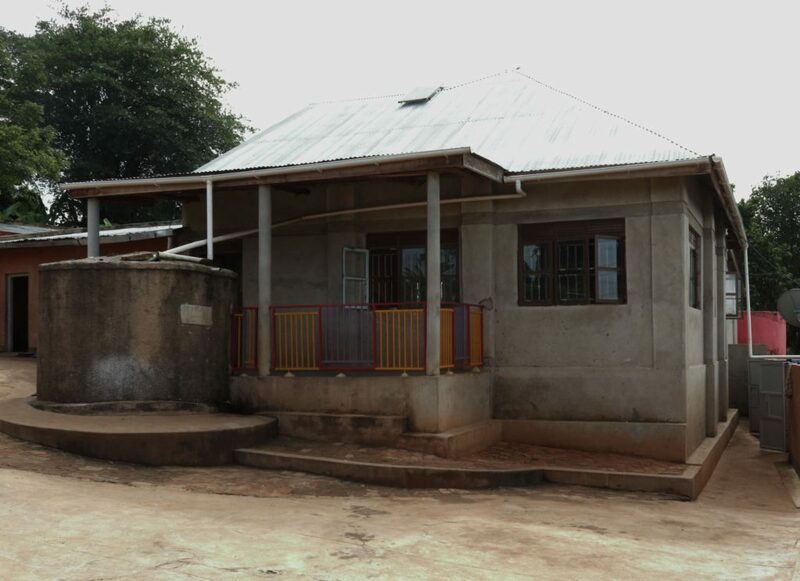 A three-classroom block and an office had been constructed and were nearing completion. Further funding for the construction of the latrine block was received in early 2010. On the 6th April 2010, children with special educational needs and staff were welcomed into the new school building, making a step of independence from the home of Mary and Moses, where the school had been housed since it started. The children in the photo are in their new classroom and are showing their new text books which were donated by Candice, a friend from Canada. At the start of the new academic year, a nursery class was added and the school welcomed the first nursery school children. 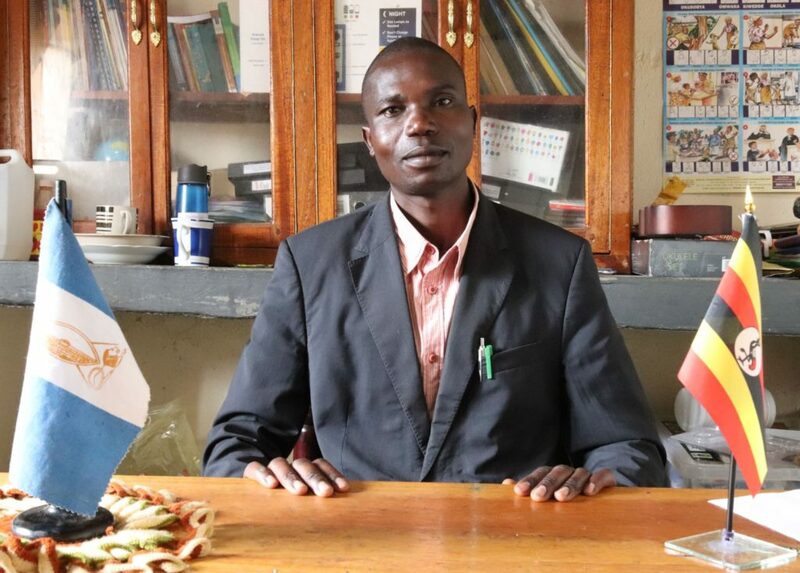 By the end of the academic year in December 2011, there were sixty nine children enrolled at Kakunyu School – twenty eight boarders and thirty day students, with eleven based at home. There were three teachers, two caretakers, one cook, a matron, a porter and a security guard. Kabiito Mary was the School Director. Many developments have taken place at Kakunyu Inclusive School since 2011. The school now serves around one hundred and thirty children at nursery and primary school stages who create a wonderfully inclusive environment for children of all abilities. More classrooms and dormitories have been added and the Dormitory site (“Down”) now has a large latrine and bathroom block. Solar lighting has been added in stages and we now have lighting in the school main block and in the Dormitory area. We continue to harvest and store as much rain water as possible and in summer of 2018 constructed a well near the Dormitory site. Recently a new physiotherapy block was build in the “Down” area alongside Mary’s house, the kitchen and dormitories for the boarders. This provides space for Master Tom to work with the children needing physiotherapy and also provides a space for boarders to use in the evenings. There are currently ten teachers led by Headmaster, Khabunze David. In December 2018, 15 students sat their Public Leaving Exams (PLE) and graduated from our P7 class. Well done P7 class!